Are you wondering how to back up movies from your iPhone to iTunes so that you can make use of more free space on iPhone? This how-to article will guide you step by step. Download and install AnyTrans before you start the tour of baking up movies from your iPhone to iTunes with this amazing iPhone transfer tool. 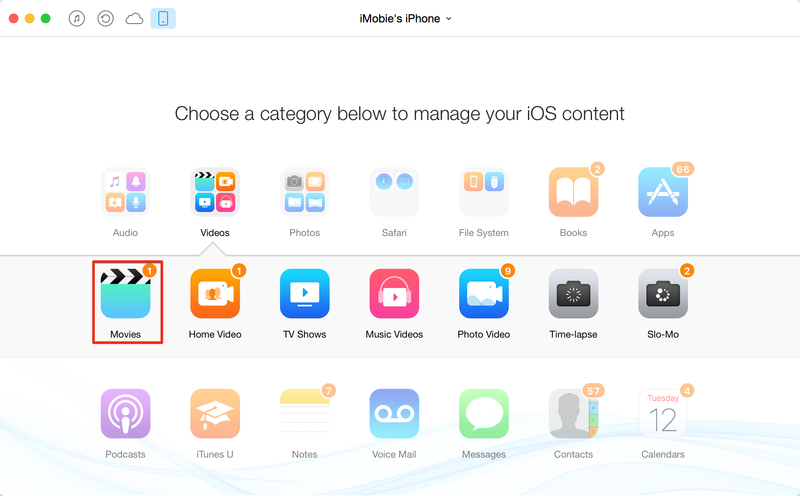 Apple made iTunes as a powerful management tool to help you manage your iPhone, iPad, iPod touch. 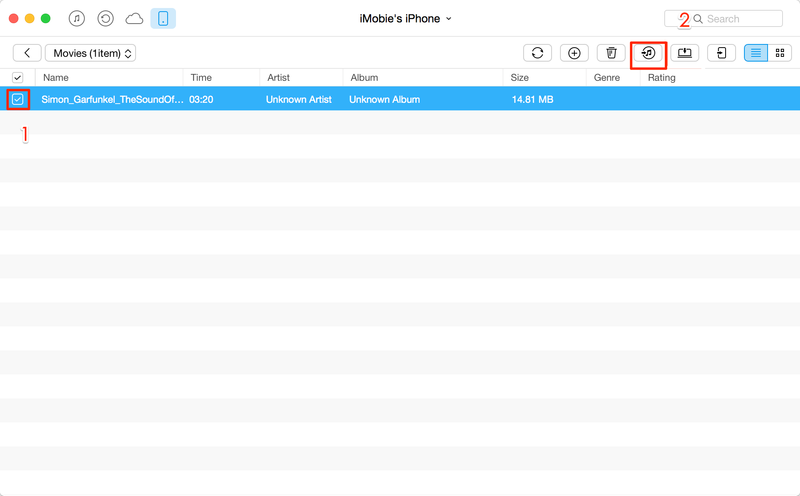 You can easily sync music, videos, photos and more from iTunes to your Apple devices. But what if you want to transfer movies from your iPhone to iTunes as a backup so that you can more precious free space on iPhone? As we know, iTunes doesn't allow us to transfer content from devices back to iTunes. So if you want to back up movies from iPhone to iTunes, you need to resort it to a third party transfer program. Here, an iPhone transfer tool named AnyTrans is highly recommended to you. - Import and export music, movies, photos, apps and all sorts of media files from iPhone to iPad, iPod or iTunes, and vice versa. Transfer apps between multiple Apple devices, keeping all app data, saved game record & your personal settings. - Recover and rebuild iTunes library from iPhones and iPods in case serious breakdown happens to your iTunes or computer hard drive. - Compatible with all iPhones, iPads and iPods ever made, working well with iTunes 11.1.5 and iOS 7.1. Having the basic knowledge of AnyTrans, now let's have a look at how you can back up iPhone movies to iTunes. First of all, have AnyTrans downloaded and installed on your computer, connect your iPhone via USB cable, and then follow the step-by-step guide on how to back up movies from iPhone to iTunes. Step 1. After launching AnyTrans > Click Videos, and tap Movies. Step 2. Select specific movies you want to backup to iTunes > Tap to iTunes button. Just be patient for a while, AnyTrans will finish backing up your iPhone movies to iTunes successfully. Sounds amazing? You can give it a try now! If you think this guide is helpful for you to back up movies from iPhone to iTunes, please recommend it to your friends. Look forward to hearing your ideas about AnyTrans.